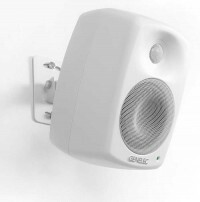 At ISE 2014 on Stand 3-C90, Genelec is set to launch the latest addition to its 4000 Series of loudspeakers designed specifically for the AV install market. Combining premium performance, installation friendly features and with renowned Genelec design and build quality, the 4000 Series is the benchmark loudspeaker range in the systems integration sector. "I am really looking forward to introducing the new model to the ISE 2014 delegates," says Lars-Olof Janflod, PR and marketing director at Genelec. "Since its launch the 4000 Series has been embraced by the install market world-wide. We are expanding the range to include a new product that will broaden the appeal of the series and reinforce our position as a leading loudspeaker brand for fixed audio installations." The Genelec 4000 Series active loudspeakers are perfectly suited to music playback and demanding speech amplification projects which make them a natural choice for critical commercial installations. The Directivity Control Waveguide provides broad and flat coverage for precise imaging in all environments and Practical Room Response Controls optimise the loudspeaker’s tonal characteristics for any environment. Once installed, overload protection ensures reliability and 12 V contact closure allows for seamless integration with any in-house automation or AV-control system. Furthermore, the 4000 Series is fully compliant with the Energy Related Products (ERP) Directive which requires that standby power consumption for any product is under 0.5W. This is achieved with the proprietary Intelligent Signal-Sensing (ISS) feature adding to the embedded sustainability of Genelec product designs.